Transformational Travel | A step-by-step, immersive process that delivers spiritual growth through adventure! Adventure, Freedom, Empowerment, and Full Self-Expression! Intentional travel is as much an ‘inner journey’ of personal growth as it is an ‘outer journey’ of destination-discovery. It’s an accelerated path to deep TRUST — of self, the world, and life. An 8-week online course that delivers spiritual growth through adventure! Transformational Travel is the ‘modern-day pilgrimage’ for ambitious, conscious people. Live life fully – no matter the circumstances. Start today with the 8-week online program. Transformational Travel is not a trend, it’s a global revolution; who we are being while we travel can positively affect – even regenerate – the areas we visit. Planet+Places+People! Wondering how to experience Transformational Travel in the here and now? Join our monthly Zoom gatherings online to explore a Transformational Travel theme – It’s Free! What’s your dream? Begin to bring it into reality by sharing it. Tell me, why is this so meaningful to you, and how will you feel when it comes true? I’m listening. Wondering how to experience Transformational Travel in the here and now? 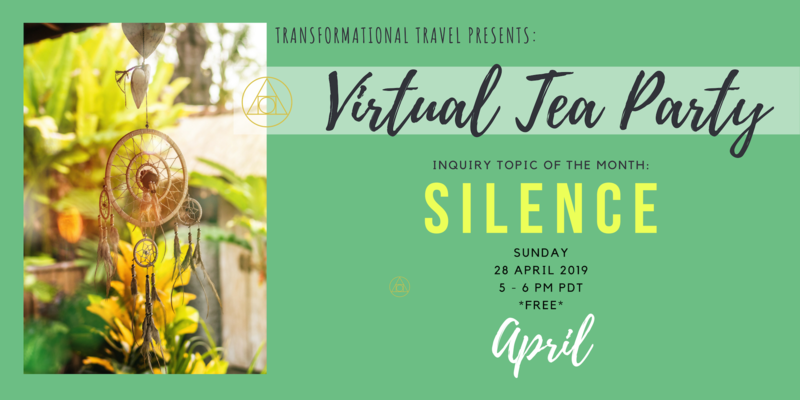 Join our monthly Zoom gatherings online to explore a Transformational Travel theme – It’s Free! 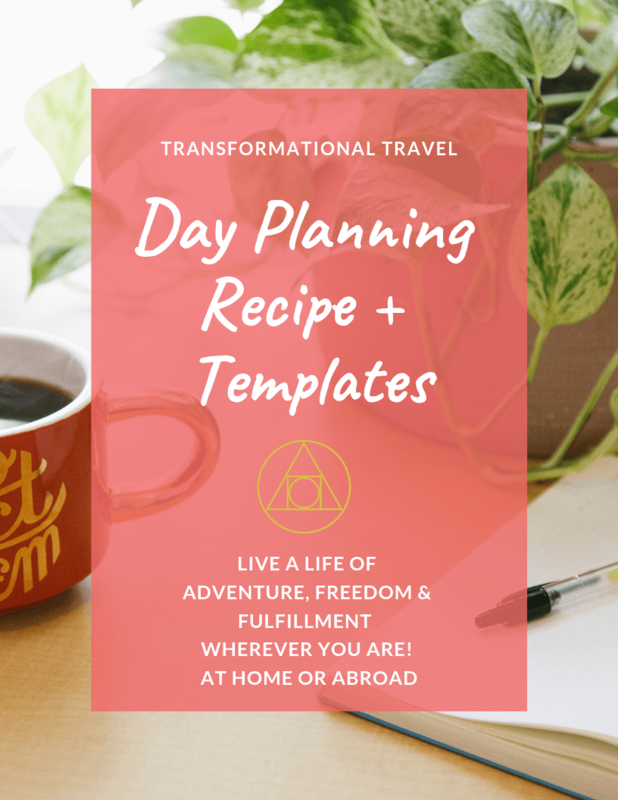 Plan your perfect day - ANY DAY - at home or abroad with the Day Planning 'Recipe' and Templates. Make trip planning easy. Download your free gift now.